The Third World War will not be fought for countries gaining supremacy over each other. It will not be fought with guns and weapons of mass destruction and bio chemicals. It will be fought with drought and food scarcity. And the war will not start because of top military admirals and leaders’ decisions and will not be fought with drones and tanks. It will be fought on the streets and by normal people. Above is a picture of a remote village pond down south TamilNadu near by native village. This picture is after two months of south west monsoon (if it had set on time). The monsoon is delayed and water that is distributed for irrigation has not begun. Mettur Dam is the primary water storage for irrigation down south and normally the water is released from Mettur by first week of June. It would take a month and by around middle of July water would have reached these villages. The dam hasn’t been opened yet and not even a single drop has reached these villages. 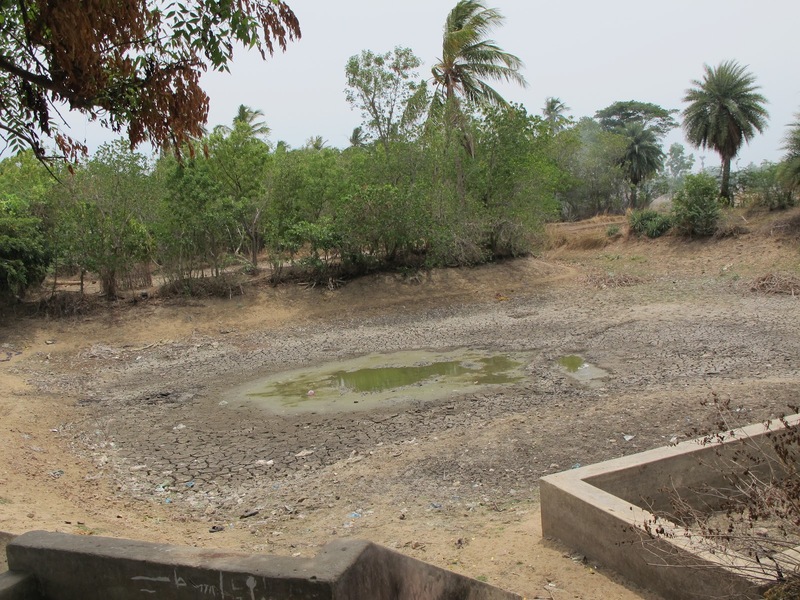 The entire cauvery river is dry across all the districts. There is acute power shortages in the state – we cant run the motors to pump water from the ground. And even if we manage to pump the water, the water is salty after years of prawn and other farming. Plus the Tsunami that mixed a lot of sea water with the ground water. There are no rains in TamilNadu till October anyways and this time there are no rains in Kerala and Karnataka for us to receive water in the Cauvery. We will have cars and houses and loans. We will just not have enough food to feed our people. And this is a situation of a place where our ancestors cultivated thrice in an year. And why will we even change ourselves? There are campaigns shouting to leave the planet earth for the next generation. I wonder if we will even have enough for ourselves.